In 2015, Joseph R. Weintraub and James M. Hunt argued in the Harvard Business Review that there were two types of managers: those who coach and those who don’t. After years of researching the topic, they identified how the two were inherently different in their approach. Weintraub and Hunt pointed out that managers who don’t coach aren’t necessarily bad at their jobs. It takes a big shift in behavior to incorporate coaching into a management style, and unfortunately, many don’t have the time or support to make the change. Too bad: a 2016 BlessingWhite survey of 682 managers found that 78% are already expected to coach employees. Given Weintraub and Hunt’s research, it’s doubtful this “coaching” is effective. What managers do: Focus on how employees excelled and the weaknesses they need to correct. Managers are concerned more with what happened in the past. They base their assessments and guidance on what they’ve seen. What coaches do: Develop hidden strengths — skills at which the employee is neither naturally talented nor weak. Coaches look toward the future and what employees need to do to reach the next level of their career. They base their coaching on the individual’s potential. How to manage and coach: When it comes to reviewing an employee’s performance, managers want to ensure employees are doing the best they can in their current role. Coaches, on the other hand, are preparing them for their next. What managers do: All teams have goals that contribute to the overall organizational objectives. A manager ensures that each individual is contributing appropriately. What coaches do: For coaches, the employee’s goals matter most. How to manage and coach: This is one of the hardest situations to navigate for a manager acting as a coach. They have to find a way to align and achieve two separate sets of goals. And how an employee’s career goal ties into a team or organizational goal isn’t always obvious. Modeling effective coaching is the best way to ensure managers know how to do it. 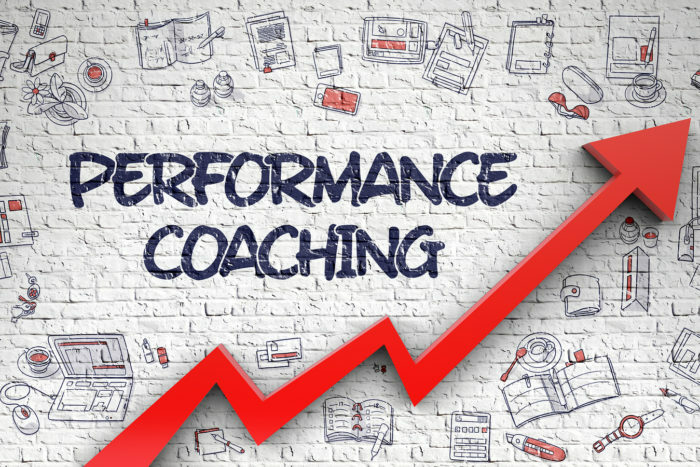 The BlessingWhite survey found that if managers don’t receive coaching themselves, only 54% said they believe coaching by managers drives business results. If a manager does receive effective coaching, however, that goes up to 75%. Make sure managers have a coach who can show them what it looks like to align personal goals with business goals. This will help them do the same for employees. What managers do: Most managers are concerned with doing tasks by the book. They believe they already know the best way to approach a project and prefer their employees to follow suit. What coaches do: A coach is dedicated to helping employees discover the best way for them to accomplish tasks. It doesn’t matter how the coach would complete an assignment. Developing a method that plays to the employee’s strengths is more important. How to manage and coach: The problem arises when an employee faces a task that could take longer or be less successful if they don’t follow the established process. Managers must decide whether or not they should give the employee the extra autonomy to learn and grow. Help managers make this decision by being clear about what projects have leeway and which do not. One good way to judge which approach would be best is to consider if the employee would be taking on new responsibilities. If they are tackling a new challenge outside their current role, use it as a coaching opportunity. This way, they can be coached while still doing all of their main tasks effectively. Milo Sindell, a business consultant, provides a range of guidance to Fortune 500 companies, including Intel and Sun Microsystems, in the areas of strategy development and implementation, change management, organizational design, global knowledge management systems implementation, and employee development and integration. Dr. Thuy Sindell, a leadership consultant, creates customized leadership programs for executives and managers of Fortune 100 and industry-leading companies. She helps leaders develop their strategic thinking, influencing, and coaching skills. Milo and Thuy are coauthors of the new book, Sink or Swim: New Job. New Boss, Twelve Weeks to Get it Right.